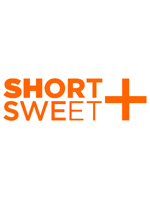 For those interested, my short play Speed Dating will be performed twice this Saturday, as a wild card entrant in the Brisbane & the Gold Coast Short + Sweet Festival 2012. It’s on at The Loft, Kelvin Grove in Brisbane, and ticketing details are available online, at the Gardens Theatre website. Due to a near sell-out of the evening show at 7pm, a 3pm matinee has also been added.